A spokesperson for Panasonic has said that the company is watching very closely the advanced compact system cameras currently entering the market from rivals including Sony, Olympus and Fujifilm. Panasonic was the first brand to launch a CSC, back in 2008, but it has since been joined by all but one of the major photography brands. 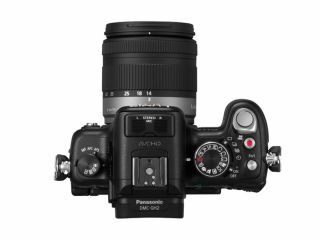 Recently, there has been a flurry of more advanced system cameras making an entry on the market, with the Fujifilm X Pro1, Sony NEX-7 and Olympus OM-D all appearing in recent months. Panasonic currently has two models which could be considered as competitors for this level of cameras, in the shape of the G3 and the more recent GX1, but Barney Sykes from Panasonic UK says the company hasn't ruled out the possibility of an even more advanced camera coming soon. "We're reviewing what's going on in the market," he told TechRadar, "We've seen the Olympus OM-D and we're watching the Sony NEX-7." Although Sony announced the NEX-7 back in August 2011, it was unable to launch the camera properly because of problems with the factory as a result of the Thailand floods. It is only now becoming available for retail. "We have to introduce a product that's right for us, and fitting with our technology," Sykes continued, "so we're watching the market developments very closely, and if a trend is spotted then we will be quick to respond to it."